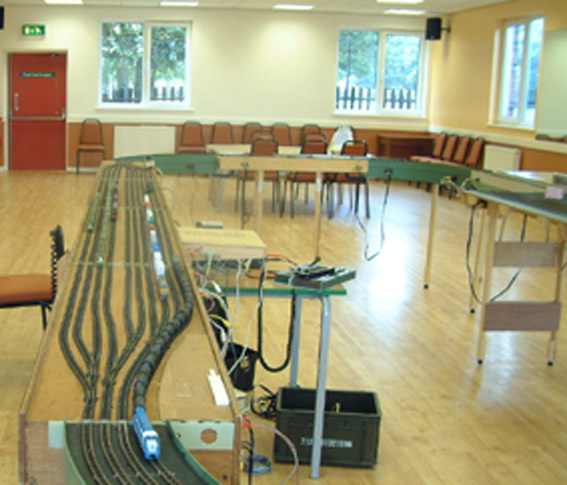 The DCC group jointly own the fiddle yard which is 16 feet long by 1 foot wide with 10 storage sidings, 2 four track endboards (48" x 36"); and a variety of smaller bridging pieces and filler boards. 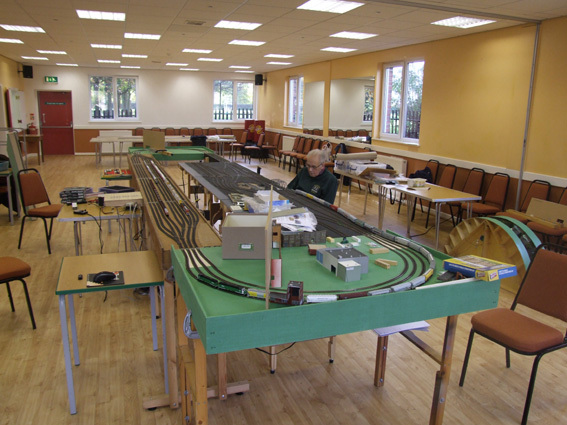 These will allow us to run a 4-track main line across the front of the layout at larger shows and group meetings. We are also converting a smaller fiddle yard (8 storage sidings) and 2 two track endboards to give us a more compact layout for smaller shows. Two endboards were built to take the 4-track mainline. These have ended up as 48" x 36" to allow for wide enough curves for stock to pass freely, but also to bring the tracks in at the ends to meet the spacing for John's endpieces. These 2 endboards are now showing their age and will be replaced with two new boards in the first half of 2011.